The HUBZone Council, in partnership with HUBZoners.com, has launched a HUBZone Internship Program! The first phase of this workforce development initiative will focus on identifying students residing in HUBZone areas for internship opportunities both at school and at home. We envision both paid and unpaid internship programs. One goal of this program is to assist the HUBZone Council with developing stories and videos about how HUBZone companies give back to their communities. The interns will be paired with a HUBZone company in their home area. The companies and interns will work together to develop the story to present either as a video, news article, etc. while they are at school and facilitate possible internships in their home areas during holiday and summer breaks. We are looking for HUBZone certified companies and HUBZone students to participate in this program. If you have any questions, please do not hesitate to contact the council at 240-442-1787 or info@HUBZoneCouncil.org. Internship funding is now available to technology-based businesses and state and local agencies offering paid internships. 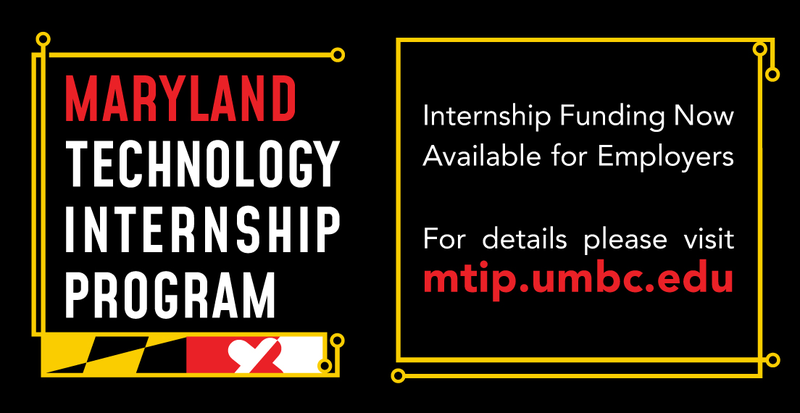 If you have a STEM internship, MTIP can reimburse employers for up to 50% of an intern’s wage and up to $3,000 annually per intern ($1,800 for the first semester and $1,200 for subsequent semester). Check out www.mtip.umbc.edu for all details!